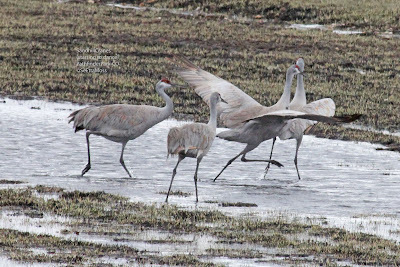 These Sandhill Cranes were really 'kicking up their heals'. It is interesting the moves they make. 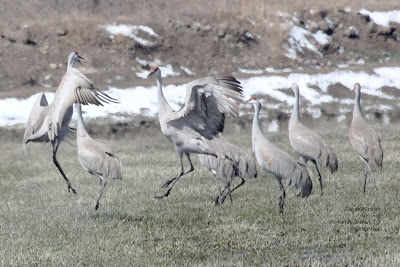 The Sandhill Cranes have been returning most every day to these agricultural fields only a few miles from where I live. Their exuberance is a joy to experience. 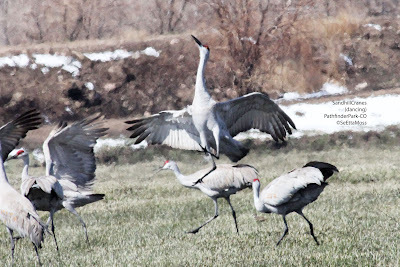 These were some of a flock of about 15 Sandhill Cranes that used a local agricultural field in the Canon City area for a migration stop-over for a few days. 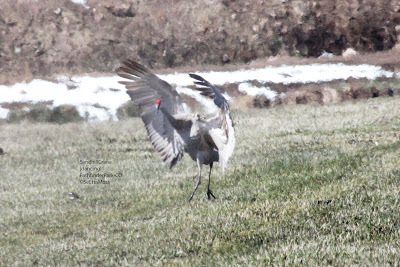 In the top pic they are starting to dance.